The Strays have been described as No Doubt meets Chuck Berry meets Imelda May. Fast, loud, raucous garage rock n roll! The Strays ethos is simple, to produce vibrant, exciting, high energy music that people just want to move to, (and move fast!) with a nod to vintage style and rock and roll, topped with a modern gritty vibe. Energy and fun is the driving factor and this is apparent in their performance style, which is larger than life, interactive, and deliciously unpredictable. After releasing their debut EP in April 2017 produced by acclaimed producer George Shilling (Blur, Oasis, Primal Scream) and embarking on a tireless gigging schedule, the Cheltenham based Garage Rock n Roll band were endorsed by Vocalzone and featured as ones to watch in UK Rock n Roll Magazine. 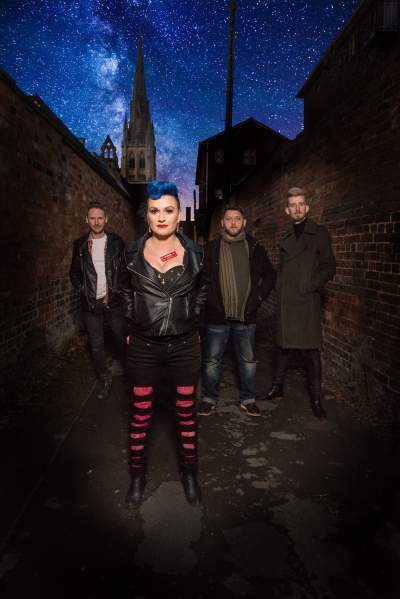 2018 sees the release of their second EP ‘Brand New Day’ and with festival slots at Mello, Lechlade, Milefest (among many others) and supporting Republica on their reunion tour, the only way is up for these raucous rock n roll rebels.